Krysten, is a wonderful story. I first started working with Krysten in the summer of 2012. Our goals were weight loss, stregthening core and preventing injury. We worked out hard, five days a week all summer! 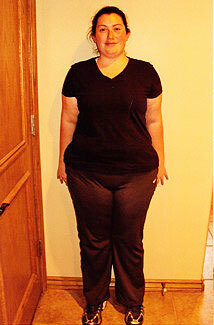 By the end of summer she had lost 20 pounds, had no back or hip pain and was stronger than ever. Krysten graduated in 2013 with her Masters Degree in Sports Management. She stays very busy with her successful career in New York. She never ceases to amaze me! 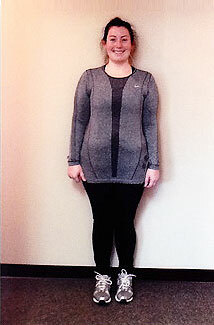 She has continued to lose weight, workout, do boot camps and is on a running program. She ran her first half marathon at the 2014 Oklahoma City Memorial Run. Congratulations Krysten! I am proud of you! !